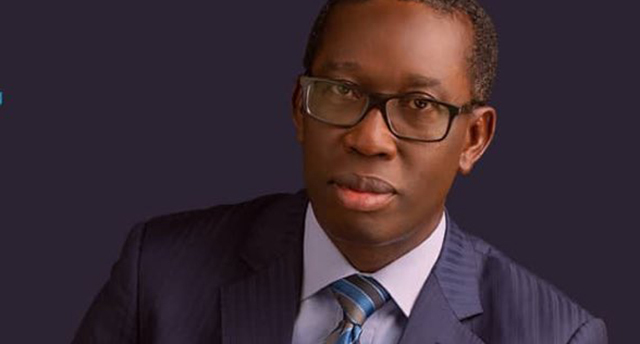 Polls: Be mindful of rotation principle, group tells Deltans .ASABA – DELTA North Unity Initiative, has urged Deltans to be mindful of the prevailing principle of rotation in the state, saying those against the second term bid of Governor Ifeanyi Okowa were on the losing The group, in a statement by its President, Chief Emmanuel Ehikwe, said: “No individual or a political party’s ambition should override or jeopardize the collective peace, unity, and equity of the component districts and groups of our beloved state. “It is an established fact that in Delta State there is an unwritten arrangement among altruistic political leaders and principal stakeholders that power, as symbolised by the governorship seat, shall rotate among the three senatorial zones of the state, namely Central, North and South. The power rotation principle, which became operational during the administration of the second Executive Governor of the state, Chief James Onanefe Ibori was conceived as a deliberate policy to uphold equity, unity, harmony, and balance among the three component senatorial districts of the state. “Since then, the principle has been expertly applied by stakeholders and political gladiators as a silent lever to inculcate a sense of belonging among all Deltans and forestall marginalisation or exclusion of any of the three senatorial districts. “The history of Delta State clearly shows that Dr Okowa is the first and only elected governor from Delta North Senatorial District. It is on record that the people of Delta North Senatorial District, in the spirit of fair play and harmony, faithfully supported Chief Ibori from Delta Central Senatorial District and Dr Emmanuel Eweta Uduaghan (Delta South Senatorial District) during their respective elections and eight-year tenures as governors of Delta State. Saying that Governor Okowa had not disappointed the people of the state, the statement said: “When the Independent National Electoral Commission (INEC) released the guidelines for political activities, we had expected that all the major political parties in the state would have taken cognizance of sensibilities in the state and the need for equity in the choice of their governorship candidates. “While the ruling Peoples Democratic Party (PDP) and many other parties adhered to the existing understanding on power rotation in the state, we were disappointed that some political parties in the state threw caution and equity overboard by picking their gubernatorial candidates from outside Delta North Senatorial District where the position has been zoned. “We seriously frown at such deviant actions as deliberate attempts to short-change the people of Delta North Senatorial District and truncate the peace and harmony in the state. We call on all well-meaning Deltans to join in condemning the insensitive and destabilizing act of those seeking to violate the existing power rotation principle in the state. “Anybody who is conversant with the ideals of good governance will not find it difficult to discover that Dr. Okowa is truly working for the good of all Deltans and that explains why his public approval rating keeps rising. “Devoid of sentiments or partisanship, we are hereby calling on all Deltans to support and rally round Dr Okowa for a resounding victory in the March 2 governorship election because doing so is in the best interest of Delta State”.